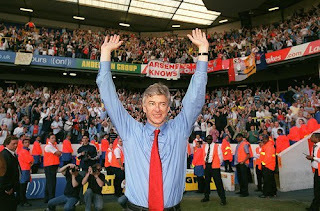 He may not be one for anniversaries but today is the 15 year anniversary of Arsene Wenger at Arsenal. 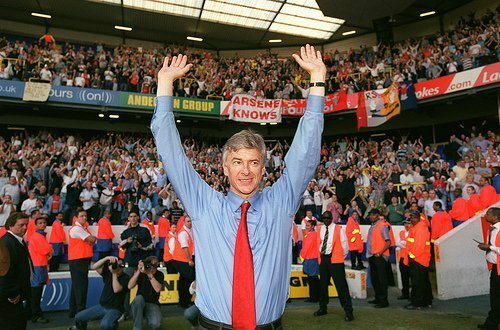 15 years ago to the day we saw headlines of ‘Arsene Who?’ in the evening standard and the man quickly proved exactly who Arsene is! The last six or so years have not quite gone to plan but supporters who were around in 1996 (most anyway) would have taken three Premiership tittles (having never won it before) four FA Cups, runners up in the Uefa Cup and Champions League and being in the Champions League every single year (full seasons). On top of that getting to see the lights of Henry, Vieira, Pires and Fabregas grace the Highbury and Emirates pitch. In recent months, if you believe everything you see and read, you may think his turned into this crazy mad man who knows nothing but if you look at his record over the last 15 years, you can see his perhaps not as crazy as people have made out. He has made mistakes; well the whole club has but generally, the 15 years have been quite successful and for that you have to credit and respect Mr Arsene Wenger. The game of the season (for supporters anyway) is the north London derby and the one at the lane is one of the best games of the season. We have won Leagues there, won games in which record number of goals were scored and also had some real crackers there; none more then last season. Spurs away is a place where I always think Arsenal can step it up a bit and the more senior players will understand what this game means to us. I expect Robin, Ramsey and Sagna etc to be telling all the players about the expectations at the lane. Defensively we have looked shaky and the concentration for the goal on Wednesday night was shambolic; not only did we not stop the short corner or attempt to stop it, we let a man have a clear run and leap on goal and gave him a totally free header. Concentration is the key defensively. Song is most likely to drop back which means Frimpong is likely to start in the middle of midfield but I personally have not ruled Coquelin starting either. I said before the Bolton game that I would take four points from the next to League games but having won against Bolton, I would love to sneak a win at the lane but a draw would not be the worst result in the world. It’s a game that excites me immensely and a positive result will give players and supporters the boast we really need.